What is a Kansas mechanics' lien Claim? 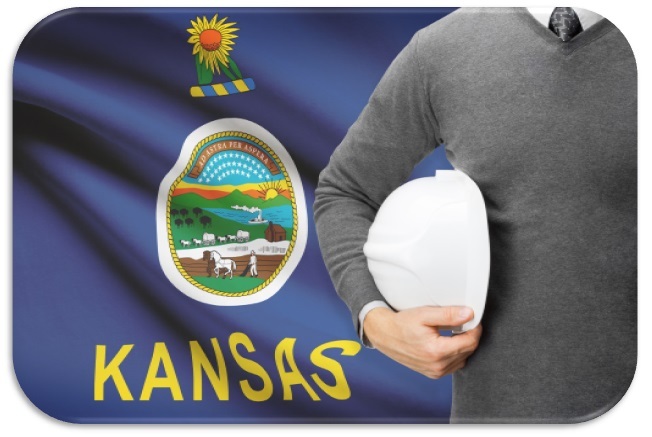 A Kansas mechanics lien for labor and materials is a document that, once filed with the District Court Clerk in the county in which the lienor is located, provides public notice that money is owed to the person who is claiming the Kansas mechanics lien. Depending on the lien claimant's relationship to the construction project (contractor, subcontractor, supplier), slightly different types of Kansas mechanics liens are filed. What is important to know is that a Kansas mechanics lien for labor and materials encumbers the property, keeping it from easily being sold, transferred or financed. The purpose of this encumbrance is to ensure payment to the lienor claimant, who has the right to foreclosure on the property and be paid out of the proceeds. In the event of a sale, the lienor should be paid from the money received from the sale. In the event of a refinance, most banks require that the mechanics lien be resolved before any financing can take place: this is because if a lien was filed before a mortgage, then the bank will not have priority over the mechanics lien. If the Kansas mechanics lien claimant is a contractor: Contractors must file a verified statement showing the name of the owner, the name and address sufficient for service of process of the claimant, a description of the real property, a reasonably itemized statement and the amount of the claim. If the Kansas mechanics lien claimant is a subcontractor or supplier: Subcontractors and suppliers must file a verified statement setting forth the same information as the contractor, as well as the name of the contractor, and an affidavit that a Warning Statement (a prelien notice) was given and a Notice of Intent to Perform was given. In Kansas, liens filed on private property or on funds relating to a public project are known as Mechanic's Liens. When a Kansas mechanics lien is filed with regard to work performed on privately owned property, it attaches to and encumbers the fee simple ownership of property. Kansas construction liens filed with regard to public projects attach to the funds held by the public owner, but generally bond claims are used to secure unpaid funds on Kansas construction projects. Who can file a Kansas mechanics' lien Claim? Kansas, like many other states, provides broad mechanics lien protection for those who provide labor and materials to construction projects. In Kansas, nearly anyone who has provided work or services or materials to a construction project can file a mechanics lien for labor and materials. In Kansas, contractors, as well as subcontractors, design professionals, sub-subcontractors and material suppliers can file a Kansas construction lien. Are pre-lien notices for a Kansas mechanics' lien Claim required? We strongly suggest that all subcontractors or suppliers that do not have a contract with the owner file a prelien notice. A Kansas pre lien notice provides additional protection in the form of maximizing potential mechanics lien claims, and most effectively helps to speed payment. An owner who is informed of everyone that is on the project is an owner that can ensure that everyone on the construction project gets paid. The most effective way, in both terms of cost and time, to accomplish timely payment on construction projects is by sending or filing a pre lien notice at the start of the project. In Kansas, on owner occupied single or double family residential projects, claimants that do not have a contract with the owner must provide the owner with a Warning Statement when they begin work and prior to filing a Kansas mechanics' lien . Additionally, on new double or single family residential projects, subcontractors must file a Notice of Intent to Perform prior to the recording of the deed effecting passage of title or there will be no lien rights. When should a Kansas mechanics' lien Claim be filed? Claimants who have a contract with the owner must file a Kansas mechanics' lien statement within four months after the day on which the lien claimant last performed labor or furnished materials. Claimants who do not have a contract with the owner must file a Kansas mechanics' lien statement within three months after the day on which the lien claimant last performed labor or furnished materials. How much does it cost to file a Kansas mechanics' lien Claim? LienItNow.com prepares, files Kansas mechanics' liens. Service of the lien is not included in this price, but LienItNow.com will have the lien served for an additional charge. For pricing information, please visit our prices page. Do I need a written contract in order to file a Kansas Mechanics Lien Claim? No. Oral contracts are sufficient if you have sufficient documentation to show the existence of an agreement or that you performed the work for which you are filing a Kansas construction lien. How does filing a Kansas mechanics' lien Claim help me get my money? On a private project, the Kansas mechanics' lien places an encumbrance on the property that makes it difficult to resell or re-finance the property without first removing the lien. LienItNow.com prepares and serves Kansas Stop Notices. A Stop Notice is a notification that has the ability to enhance the effectiveness of a mechanic's lien. A Stop Notice, or a notice to withhold funds, is sent to the company that is financing or funding the construction funds for a project. Once that company receives the Stop Notice, that company has notice that it should withhold sufficient money to satisfy the stop notice claim. The purpose of the Stop Notice is to provide the lender, financiers or funders of the construction project notice that there is money owed to a contractor, subcontractor or supplier so that an inquiry can be made as to why that money is not being paid. What is a Kansas Amendment to a mechanics' lien Claim? LienItNow.com prepares, files and serves Kansas Amendments to mechanics' lien Claims. Amendments to a mechanics' lien claim are often needed when something about the lien claim changes. Common changes to a lien claim are increases or reductions in the amount due to the lienor, or a change to the last date of work. When should a Kansas Discharge of mechanics' lien claim be filed? In nearly all circumstances, a Kansas lien release should be filed after the Kansas mechanics lien for labor and materials has been resolved, or when a subcontractor or supplier has been paid in full for the work they performed on a project where a Notice of Intent to Perform has been filed. It is extremely important to note that the filing of a Kansas lien release will remove the filed mechanics lien from the records of the District Court Clerk, and usually another Kansas construction lien cannot be filed if it represents the value of the work represented in the prior lien, or any part thereof. Therefor, a claimant who has a Kansas mechanics lien properly filed should only file a Kansas lien release if they are absolutely certain that the lien claim should be released. This is also true for anyone who is filing a release of a Notice of Intent to Perform. Once the Notice of Intent to Perform is release, there is little recourse that can be had with regard to the filing of a Kansas mechanics lien or the refiling of a Kansas Notice of Intent to Perform. A Kansas lien release has the effect of wiping out, or discharging, the Kansas mechanics lien that was previously filed. The filing of a lien release in Kansas will allow the owner to transfer, sell or fiance the property without the existing encumbrance that the Kansas mechanics lien provided. It should be remembered that a Kansas mechanics lien is only filed because a monetary debt it owed. Once that debt is paid, or otherwise resolved or settled, then a lien release in Kansas is required to be filed in order to remove a mechanics lien for labor and material that has been filed on a property or construction project. When filing a Kansas lien release, the document itself needs to be sent to the office of the District Court Clerk in the county where the original mechanics lien was filed. The person who filed the original Kansas construction lien should sign the lien relesae in Kansas, and specific information, such as the property location, the date the lien was filed, and other items should be provided so that the clerk knows which lien to discharge. To make the process easier, LienItNow.com prepares, files and serves Kansas Discharges of mechanics' lien Claims. All the lienor needs to do is fill out a quick Kansas lien release worksheet, and LienItNow will complete the lien release document, and file it with the clerk's office. How much does it cost to file a Kansas Extension of a mechanics' lien Claim? LienItNow.com prepares, files and serves notices of extension of mechanics' lien Claims. The filing an extension of the mechanics' lien claim permits the claimant an extra month to file a lien claim, except for lien claims to be filed on residential property. Different extensions must be filed by contractors and subcontractors, so please make sure to choose the one for your category when placing an order. Can I file a Bond Claim on a Kansas Project? LienItNow.com prepares, files and serves Kansas Bond Claims. Bond claims can only be filed on a project where the owner, contractor or subcontractor has obtained a payment bond to ensure that every contractor receives payment for the work performed on the Project. The payment bonds issued by sureties for construction projects have specific timing requirements, but most require claimants to submit claims against the bond within sixty to ninety days from the claimants' last date of work. Bond claims are as or more effective than a lien claim because the payment bond acts as a guarantee that payment will be made for work properly completed. Do I need to file a Pre-Notice to make a claim against a Kansas payment bond? LienItNow.com prepares, files and serves Kansas Pre-Notices for bond claims. Depending on the terms of the payment bond, pre-notices may or may not be required. LienItNow.com recommends that, prior to or immediately after starting work or delivering materials to a project, subcontractors and suppliers, file a pre-notice that it is a potential beneficiary of the construction project's bond.